How long did dinosaurs rule? Dinosaurs stomped their way across the Earth for about 160 million years and were the dominant land animals for 143 million years. During this huge stretch of time (humans have been around for less than 2 million years), many species became extinct but others evolved to take their place. Dinosaurs were survivors and most were able to adapt to their ever-changing world. 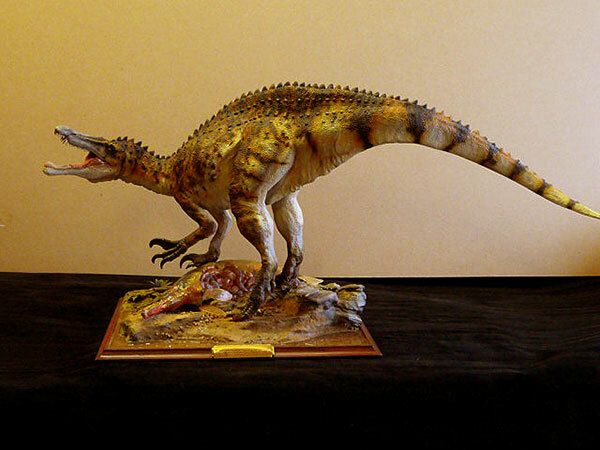 Dilophosaurus, although not the largest of dinosaurs, was a meat-eater from the Jurassic Period. The last dinosaur expired 65 million years ago. Who ruled before the dinosaurs? Before the age of the dinosaurs, the land was dominated by a group of animals that were neither reptiles nor mammals. 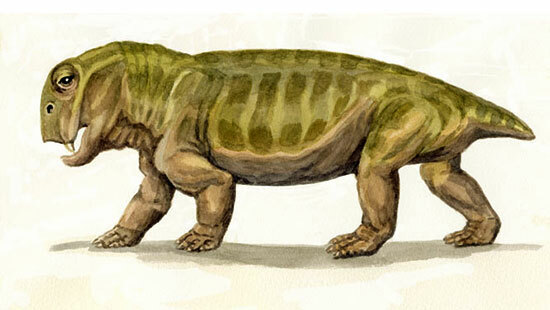 The therapsids included this Lystrosaurus, a stocky, tusked plant-eater, about the size of a sheep. Most were extinct by 200 million years ago when the dinosaurs grew dominant, although no-one knows if they were wiped out by the dinosaurs. Why do species die out? All living things die, and all species eventually become extinct. Most individual species of dinosaur existed for about 2-3 million years. Some species evolved into different ones by adapting to changing habitats, while others were unable to adapt. 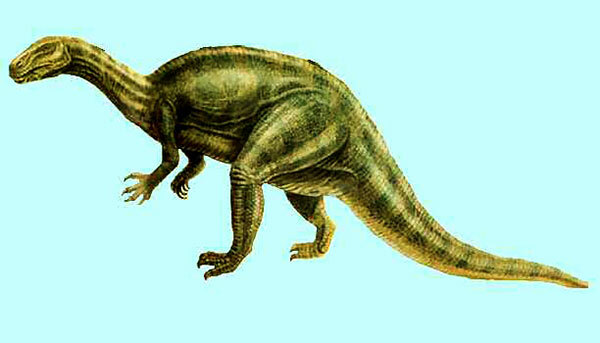 Some, such as Plateosaurus, may have died out because of a violent change to the environment that wiped out many animals. 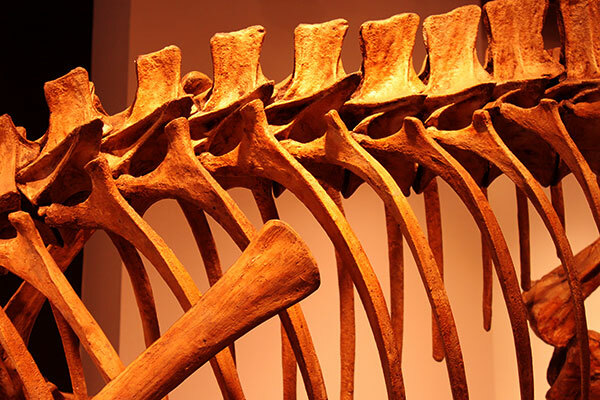 Since the main dinosaur evidence is their bones, the only diseases that experts have found are those that affect the bones. This section of a dinosaur’s backbone shows a tumour that may have been caused by cancer. Although it cannot be scientifically proved, it is like that dinosaurs suffered from infectious diseases, just as animals do today. How many groups existed together? Many dinosaur species became extinct while new species evolved over the long period of dinosaur rule, so many species did not coexist. Even so, tens or even hundreds of different species did live at the same time in the same area. Experts know that Velociraptor was around at the same time as Protoceratops, because fossilized bones of the two have been discovered locked in battle. How long did a dinosaur usually live? Bigger animals usually have a longer lifespan than small ones, so it is like that the big plant-eating dinosaurs lived the longest. If one of these had a lucky life, it may have survived for 200 years or more. However, most dinosaurs would have died from accidents, starvation, or illness long before they could reach old age. Our planet Earth was probably formed about 4.5 billion years ago, and the first animal life appeared about 1 billion years ago. 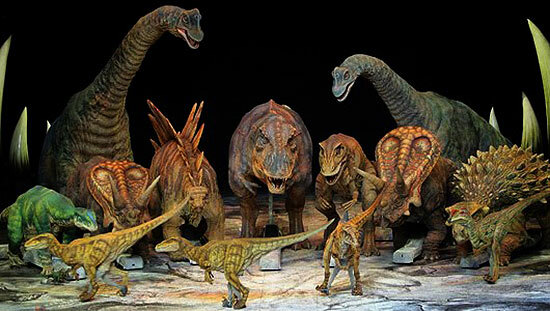 The age when dinosaurs lived (from 251-65 mya), is called the Mesozoic Era, and scientists divide this into three periods – Triassic, Jurassic, and Cretaceous. The first dinosaurs, such as Eoraptor and Herrerasaurus, appeared in the mid Triassic Period. The Jurassic Period was dominated by the giant plant-eaters. Plated dinosaurs, such as the stegosaurs, appeared then too. The dinosaurs were at their height in the Cretaceous Period. Some grew horns and frills, others developed club tails, and some refined their killing instincts.